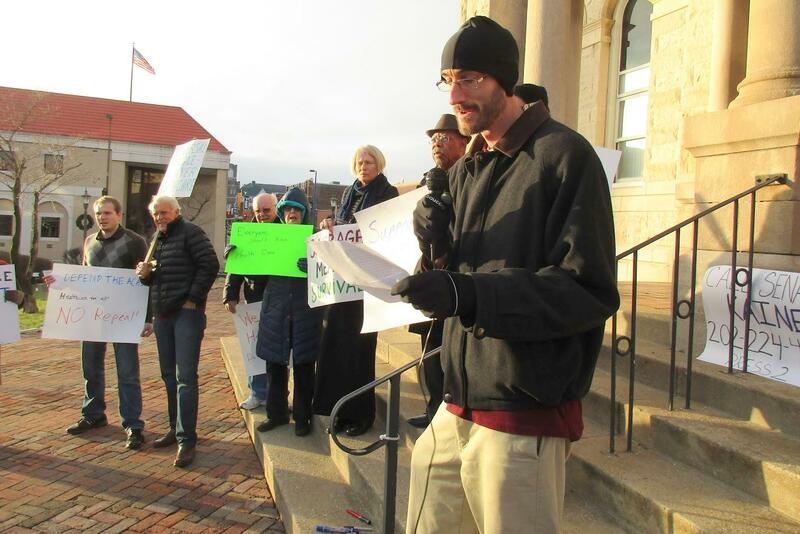 At Tuesday's demonstration in support of the Affordable Care Act, Raymond Zeigler was holding a sign that said "ACA! Health Matters." Eleanor Held is a Harrisonburg small business owner. Eric Olson-Getty is Administrative Director at Our Community Place. 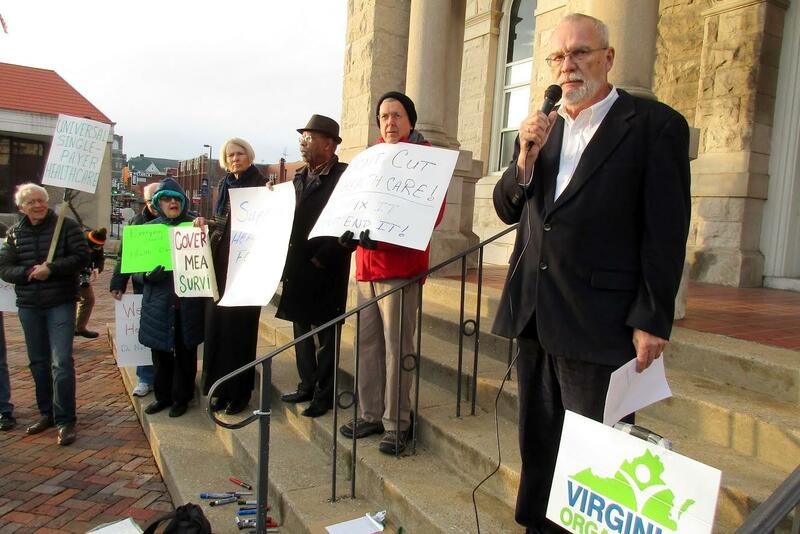 Tim Jost is a retired law professor who writes for the health policy journal Health Affairs and lives just outside Harrisonburg; he spoke at the demonstration. Virginia Organizing set up Tuesday's demonstration. Stan Maclin led a prayer. Yesterday Republicans began the legislative process to repeal the Affordable Care Act. 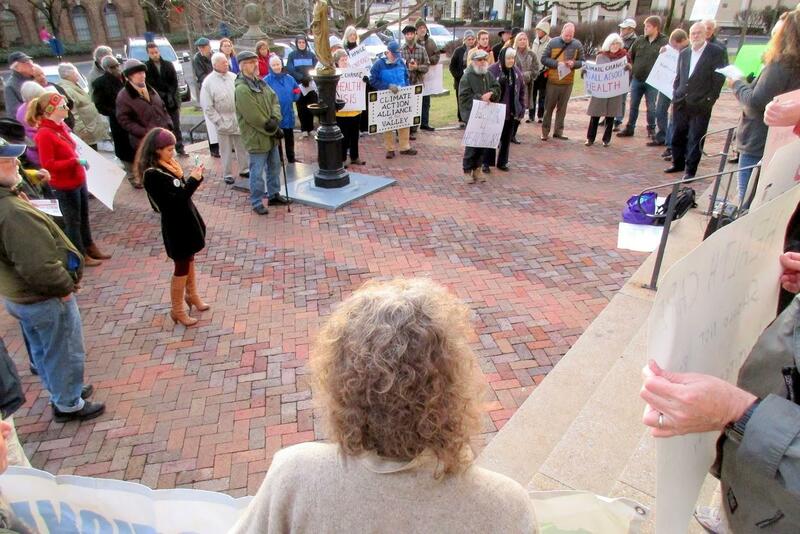 In Harrisonburg, citizens gathered to call for Congress to fix, not nix Obamacare, as it’s widely known. WMRA’s Christopher Clymer Kurtz reports. 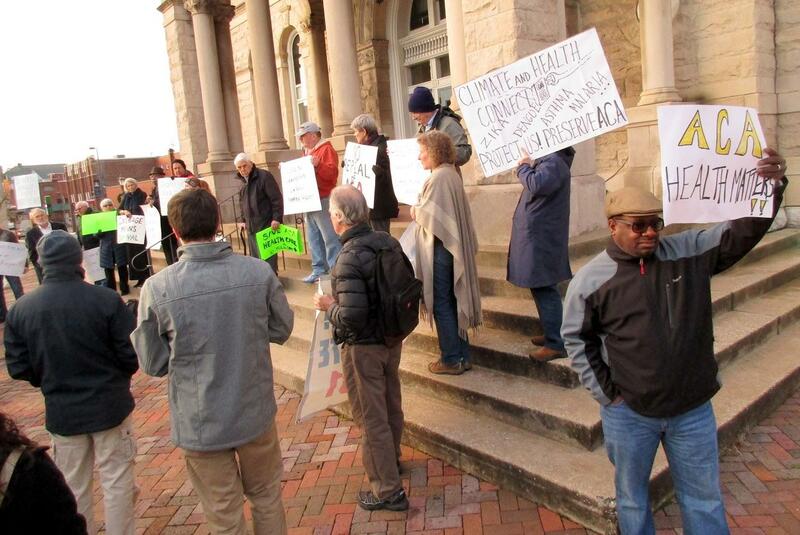 As the courthouse bell tolled the evening hour under Tuesday’s overcast sky, about 70 demonstrators, assembled by the Harrisonburg chapter of the nonpartisan Virginia Organizing, circled Court Square. 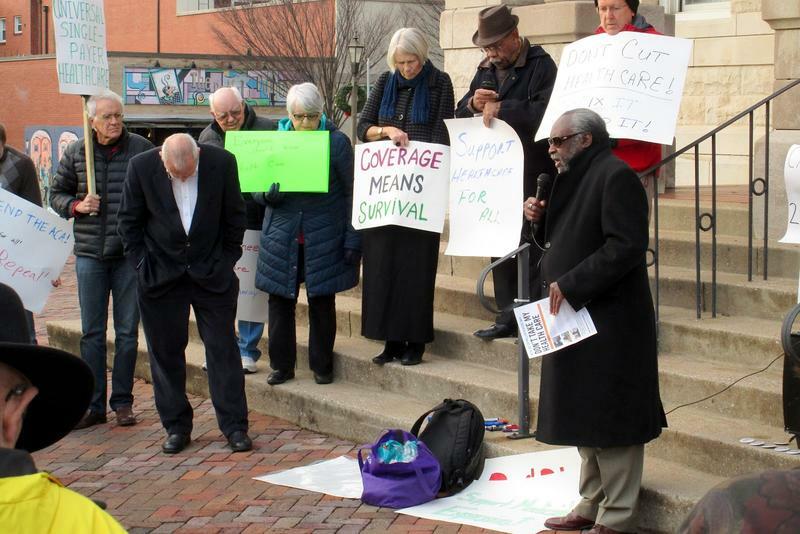 TIM JOST: The Affordable Care Act provides health care coverage for over 5,000 residents of Harrisonburg and Rockingham County and if it were repealed, they would lose their health insurance. Tim Jost spoke at the event; he is a retired law professor who writes for the health policy journal Health Affairs and lives just outside of Harrisonburg. TIM JOST: Health care should be available to all Americans. The Affordable Care Act brings us a little closer to reaching that goal. We shouldn't be heading in the other direction. ERIC OLSON-GETTY: We are here because we believe we need to protect and strengthen, and I'll say expand our current health care laws. Eventually we will all get sick, and so it's important that we as a society get together and fight for kind of cooperation and coverage that we need to take care of each other. 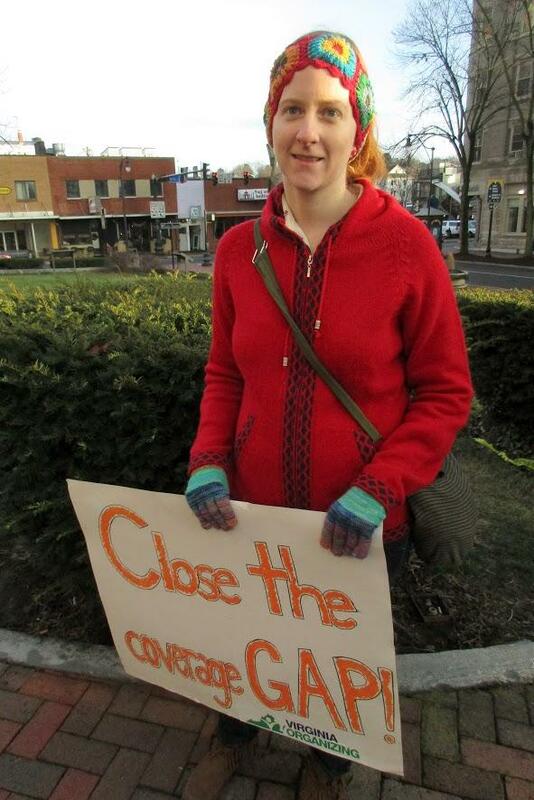 Eleanor Held owns a small business in Harrisonburg. STAN MACLIN: It's cold outside, but it's cold what the repeal masters are trying to do. -- and a time for phoning members of Congress. Tom Sawin tried to call. TOM SAWIN: It's ringing and ringing. I think everybody's tying it all up.